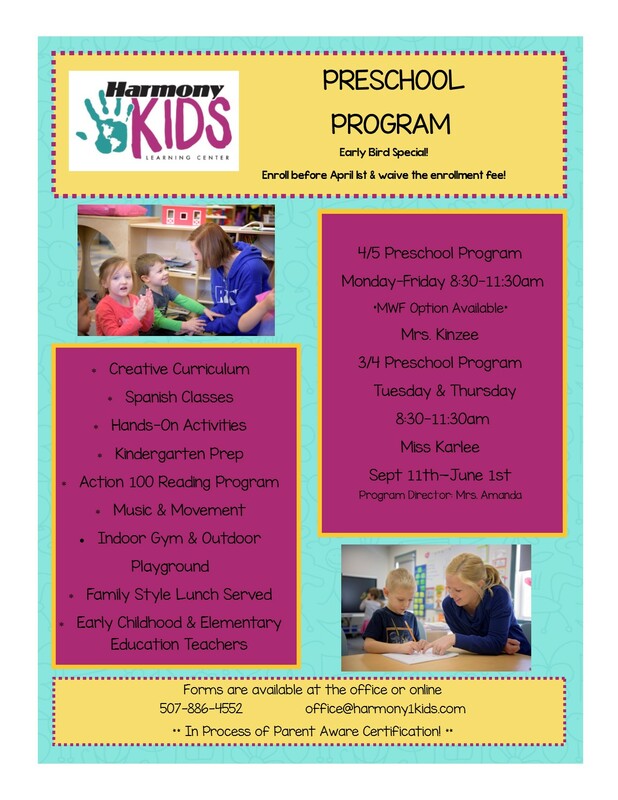 Harmony Kids Preschool Program is now taking registrations for the 2017-2018 school year! Our program is open to students from our community and surrounding communities. You do not have to be a current “Harmony Kid” to enroll. Come join us! If you have any questions about our program or want to learn more, feel free to email us at office@harmony1kids.com and we will be happy to answer any of your questions! Download our registration packet, and drop it into the office at your earliest convenience!